Purplebricks Group (PURP) PT Lowered to GBX 167 at JPMorgan Chase & Co.
At North America box offices, superheroes continue to win. 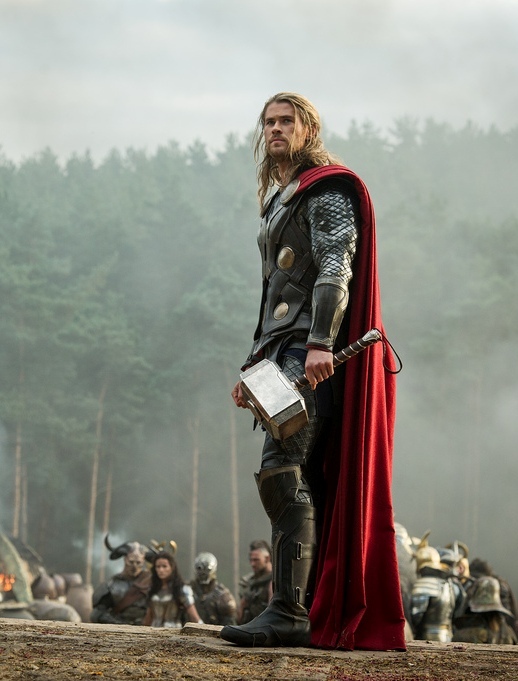 Thor: The Dark World, by Disney earned more than $86 million to dominate the box office over the weekend in its domestic debut. Chris Hemsworth stars as the Marvel superhero. The movie earned over $109.4 million in its debut last weekend overseas and another $94 million this weekend internationally. An executive from Walt Disney Studios called it extraordinary. The people at Marvel, said the executive, have been so consistent when it relates to making their movies and making big events that help drive people to the cinema. Some analysts however said they had expected the opening to top $100 million. In just a limited number of theaters on Thursday night, the Marvel movie took in over $7.1 million. This weekend’s debut passed the Thor debut of $65.7 million in its first weekend in May of 2011. The new edition, of Thor marked a record for the movie studio for a November opening topping The Incredibles that earned $70.5 million in 2004. However, on November 22 the No. 1 spot should go to The Hunger Games: Catching Fire. Disney though knows it has two weeks before Hunger Games debuts to earn big money and feels it will continue to earn good money even after Hunger Games has debuted including during the long Thanksgiving weekend. Second place went to Jackass Presents: Bad Grandpa a comedy made with a hidden camera. It took the second place slot for the second consecutive week earning more than $11.3 million. The movie has now earned over $78 million. Kiddie flick the animated 3-D Relativity Media’s Free Birds finished third with $11.2 million in the film’s second weekend. Last Vegas from CBS Films took the fourth spot with an all-star cast including Robert De Niro, Michael Douglas, Kevin Kline and Morgan Freeman. It was the second week the film has been in release. The champion from last weekend’s race Enders Game that stars Harrison Ford, Viola Davis and Asa Butterfield fell to fifth this week with $10.2 million in sales. Purplebricks Group PT Lowered to GBX 167 at JPMorgan Chase & Co.